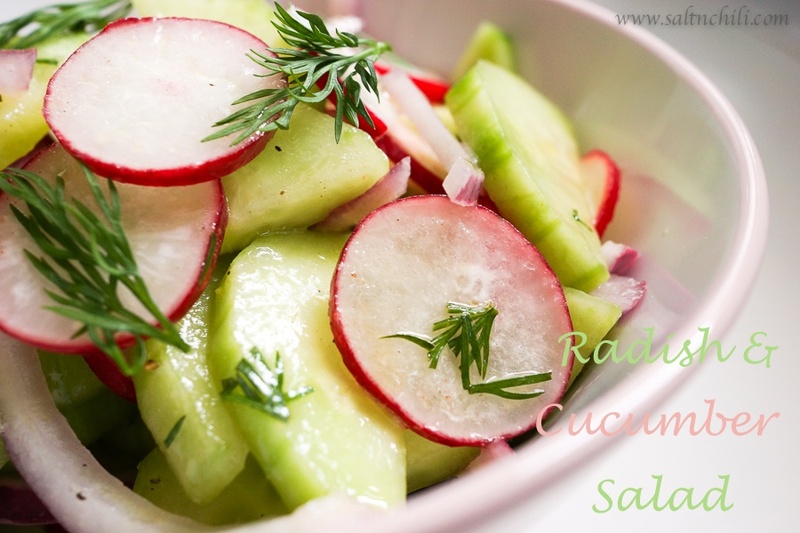 With spring just around the corner [well, I think it has officially arrived in Hong Kong], I thought I would share this simple radish and cucumber salad with you. 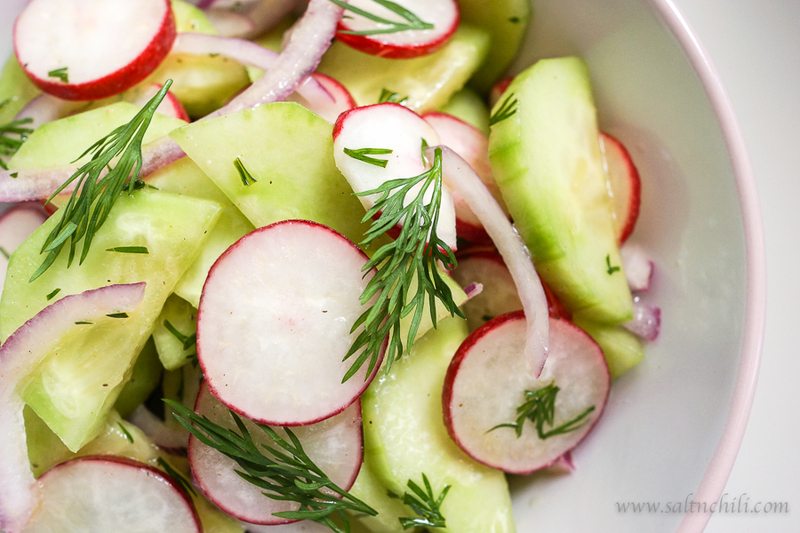 I absolutely adore the peppery flavor and crispy texture of these Cherry Belle radishes and think they compliment the cucumbers in this salad. In a mixing bowl, whisk together the dressing ingredients. Taste and adjust the ingredients to your liking. Let stand for 30 minutes for the flavours to infuse. 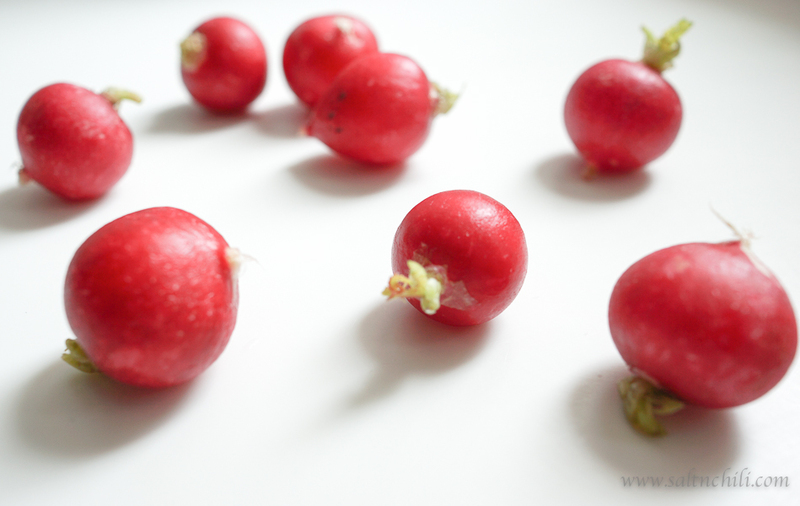 Thinly slice the radishes and red onion. Peel the cucumber and slice into half-moons.